Some may think physical therapy and occupational therapy are only needed after a major injury or surgery. Learn why that’s not the whole story. At Teton Therapy, we think that it’s not only important to treat an injury, but also to prevent injury as much as possible. 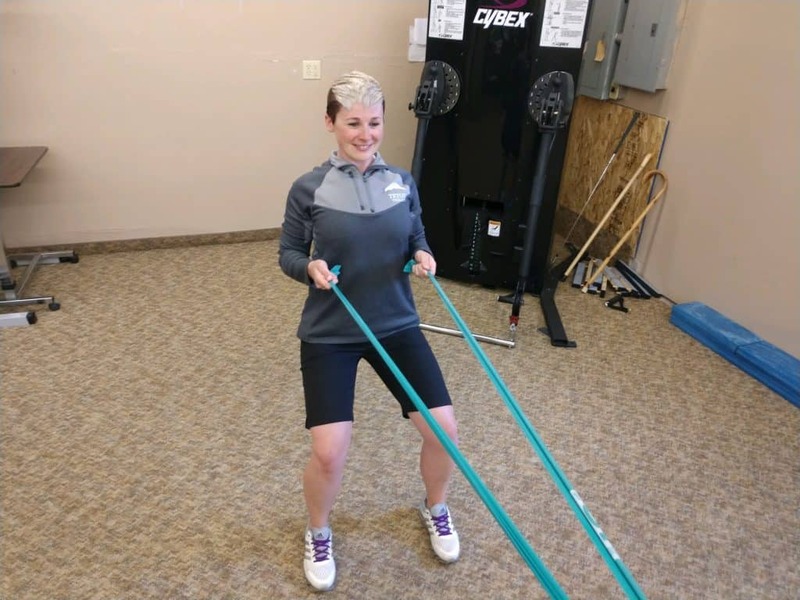 Physical and occupational therapy aren’t just helpful in returning to your active life–they are also tools to help you maintain your active life. Rachael Medow is a therapy technician at our Riverton clinic who learned first-hand how important this was. When she started having pain in her shoulder, she knew she had to reach out to an expert for some advice. That expert was Teton Therapy’s occupational therapist, Keely Tatro. Why did you decide to try therapy? My shoulder started popping and it was becoming painful during certain tasks. I found that living with the pain was becoming harder and harder, and I couldn’t fully live my healthy and active lifestyle. When I asked Keely for help, I knew that she wouldn’t just fix the problem. She would also make sure that I could prevent the issue from returning. 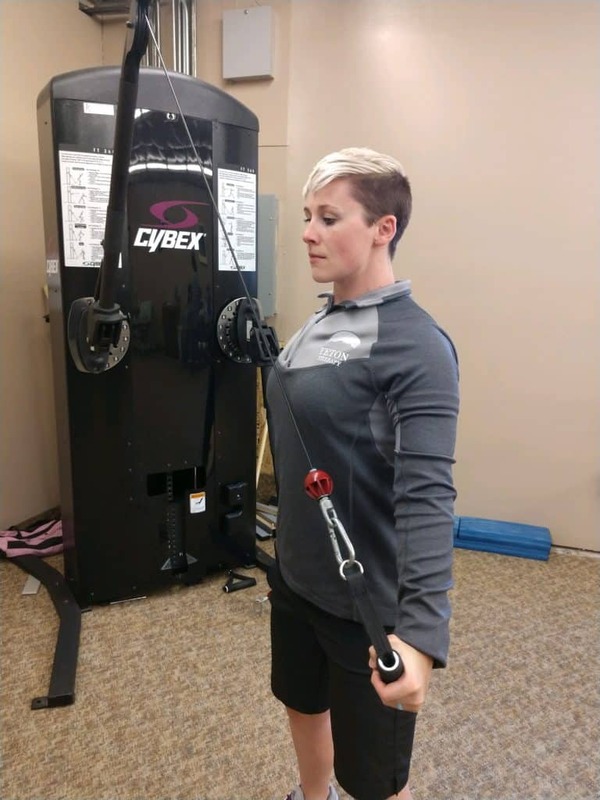 Physical and occupational therapists specialize in how your body moves, so I knew Keely would be able to tell me what was wrong, and give me tips on how to strengthen certain muscles and build better body mechanics for the future. How was the injury impacting your life? I couldn’t perform to the best of my abilities at the gym. My weightlifting routine is a really important hobby and stress reliever for me. It’s important for me to be able to do it safely and without fear of injury. I also found that doing simple tasks around my house and sleeping were both becoming more and more uncomfortable. How do you feel after completing occupational therapy? Pretty much right away, I began feeling better and the pain decreased. I started having less ‘popping’ and pain in the shoulder during my weightlifting. I also volunteer as a softball coach, and I can now do this with no pain. What would you like people to know about physical therapy and occupational therapy, especially if someone is hesitant to try it out? Come in for a free consultation! Occupational therapy greatly improved my quality of life. Some people think you only need physical therapy or occupational therapy after a major injury or surgery. That’s not always the case because I now have the tools to avoid future injury. I came to our occupational therapy team so they could help me build a stronger foundation. We wear our bodies down through activities and work, and it’s important to care for them. If we use physical and occupational therapy to strengthen our bodies, we can prevent injuries and maintain our highest quality of life. 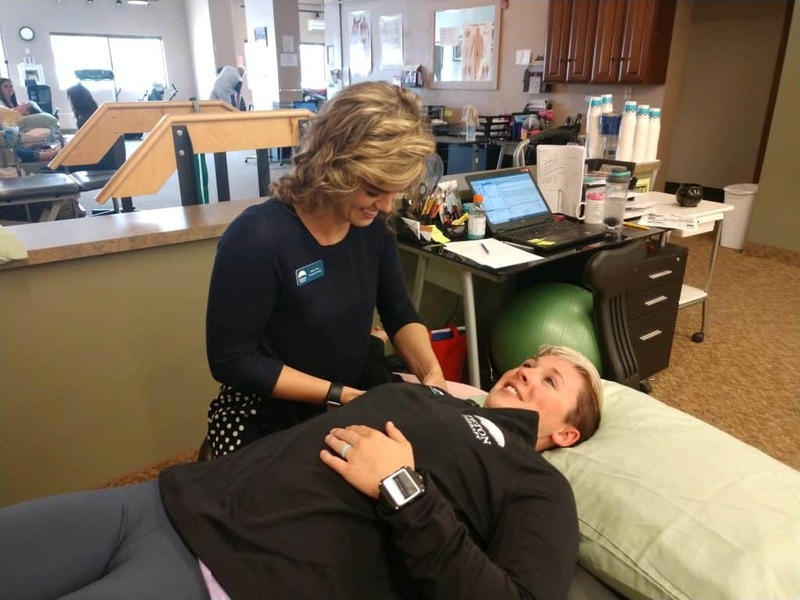 The physical therapists and occupational therapists at Teton Therapy are highly skilled experts in your body’s movements. Don’t wait for an injury–learn how to avoid them! If you need some advice on how to move more safely, whether that’s working out or walking or doing household chores, contact the Teton Therapy team today. You can reach us by phone, Facebook page, or by clicking the green “contact us” button on our website’s homepage. Interested in a free consultation? All of our clinics offer them!